We believe that slipping rugs shouldn’t be a Safety Issue for you and your family. Why choose Safe Grip by Ucrig-Z FAM? OUR GRIPPERS ARE EFFECTIVE on hard floors - hardwoods, linoleum, tile ceramic, etc. Our Rug Grippers are perfect INDOOR and OUTDOOR and are totally invisible under the rug - the thickness being only 1/8in. 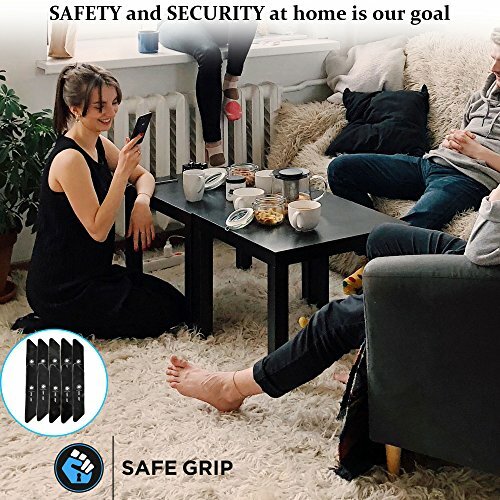 If you have any questions about this product by Safe Grip by Ucrig-Z FAM, contact us by completing and submitting the form below. If you are looking for a specif part number, please include it with your message.